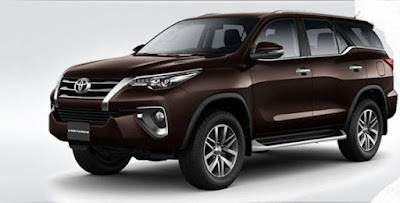 Home » News » Toyota Fortuner » Toyota Fortuner Facelift » Toyota Fortuner Facelift 2017 » Toyota Fortuner G » Toyota Fortuner SRZ » Toyota Fortuner Thailand » Toyota Fortuner TRD Sportivo » Toyota Fortuner VRZ » Toyota Fortuner Facelift 2017 Released in Thailand, More Complete! Toyota Fortuner Facelift 2017 Released in Thailand, More Complete! It's been almost two years the latest generation Toyota Fortuner paved on the streets of the homeland, the model is really new and also the new engine of course makes this Toyota SUV champion to be one of the prima donna in its class to compete with Mitsubishi Pajero Sport. But indeed this year there are several competitors who present and challenge the existence of the Toyota Fortuner, such as Chevrolet Trailblazer who has the strongest engine plus the most excellent features and attractive prices, followed by Mitsubishi Pajero Sport Dakkar Ultimate who have more features and status that already CKD, Not to mention other challengers such as Isuzu MU-X who reportedly will also be refreshed soon. But it seems PT Toyota Astra Motor is still confident with the champion in this SUV class, and has not monitored the existence of the refresher plan unit. Others in Indonesia, others in the Land of the White Elephant, Thailand. If the TAM is still not showing a movement to do a facelift from Toyota Fortuner, then the Toyota Thailand has already released a 2017 facelift version of Toyota Fortuner. And there are some changes that are carried by the Toyota Fortuner Facelift 2017 Thailand. 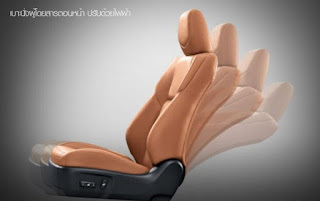 Toyota Fortuner Facelift 2017 Thailand itself get a positive change, where the features - features in the highest variants also brought to the variant underneath. Toyota Fortuner Facelift 2017 Thailand variant G alias cheapest variants are now getting the rear disc brakes, whereas the VRZ version which is the highest variant in Indonesia is still tromol. In addition, Toyota Fortuner Facelift variant G also get chrome details on the side. 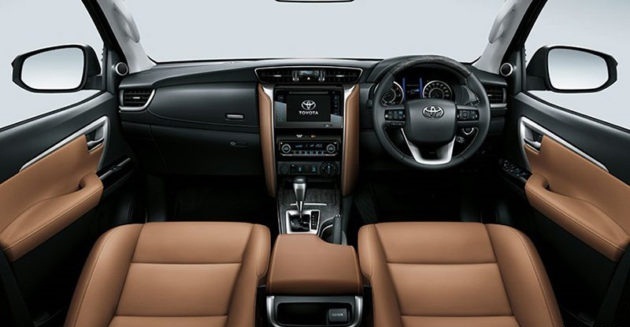 While the Toyota Fortuner Facelift variant V and TRD Sportivo get an electric seat on the front passenger side with a fog lamp that embraces LED technology. While the best-selling variant in Thailand, the Toyota Fortuner variant diesel 2.400cc trim V get a four-wheel drive complete with auto start-stop feature, cruise control, A-TRC traction control, and hill assist system. 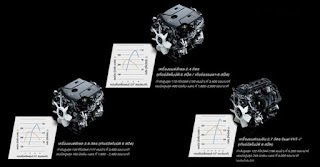 In Thailand alone, Toyota Fortuner Facelift 2017 will still be sold in three engine options, which is 2GD-FTV engine 2400 cc Diesel-powered 150 PS and 400 Nm of torque, coupled with 2.700cc Dual VVT-i-powered gasoline engine 166 hp with 265 Nm of torque , And the latest superior diesel engine that is 1GD-FTV engine 2.800cc Diesel with 177 PS power and 450 Nm of torque. All these engines will be mated to a 6 speed automatic transmission, and specifically for diesel variants 2.400cc get a choice of 6 speed manual transmission as well. Toyota Fortuner Facelift Thailand also retains other features such as Bi-Beam LED projector headlights, LED daytime running lights, electric tailgate, electrically adjustable driver's seat, T-Connect infotainment system with satellite navigation, and reverse camera. 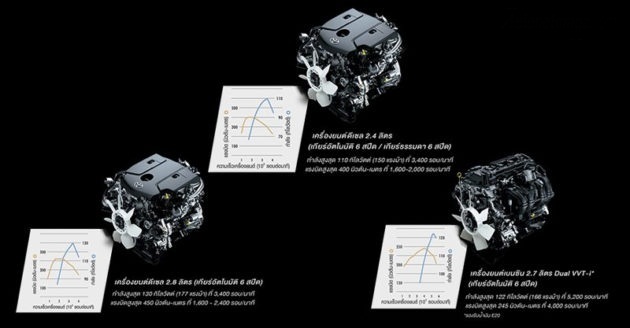 Oiya, in Thailand alone the highest variant is still using TRD Sportivo trim, unlike the homeland version that uses VRZ trim for Diesel engine, and SRZ for gasoline engine. 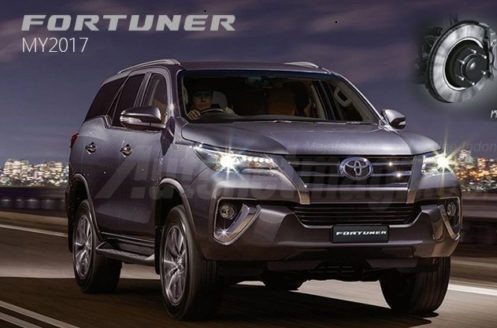 With the freshening of Toyota Fortuner in Thailand, we can certainly hope that PT TAM will follow in the footsteps of Toyota Thailand by refreshing Toyota Fortuner in the country, at least providing disc brakes at the rear, LED fog lamps, and electric seats for passengers can make consumers happy. Especially if the features of the 4WD variants we mentioned above are also given, of course consumers can Really happy. Toyota Fortuner Facelift itself sold in Thailand from the price of 1,299,000 Bath or equivalent 479.3 Millions Rupiah up to 1769 000 Bath Thai or equivalent to 689.9 Millions Rupiah. So, certainly in the midst of intense competition, revision and revamping and refreshment needs to be sob, and just stay see, when PT TAM will renew the Toyota Fortuner in the country. What do you think? Convey your friends comments, let's discuss. 0 Response to "Toyota Fortuner Facelift 2017 Released in Thailand, More Complete!"